Earth Crisis is an American metalcore band from Syracuse, New York, active from 1989 until 2001, reuniting in 2007. Their most recent record, Neutralize the Threat, was released in July 12, 2011 through Century Media. 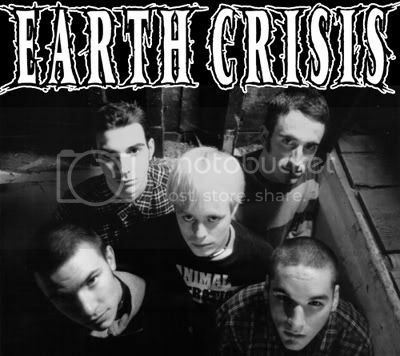 Earth Crisis is known for supporting animal rights, promoting a straight edge and vegan lifestyle, and addressing further social and political issues.